If you're anything like me, you probably prefer novels to most movies or television. However, that doesn't mean I don't have a fair number of guilty pleasures that I binge-watch regularly. Television has changed dramatically over the past decade, and a surplus of quality programs have recently hit the air. Between streaming services like HBO and Netflix, there's no shortage of shows with great characters, intense plots, and amazing cinematography. So, if you have a bit of spare time, here are the top five shows I'd recommend devouring the next chance you get. I believe most of them will appeal to YA readers or lovers of stories in general. Oh. My. God. This show. I literally could not stop watching it. It has such a fantastic mixture of passionate romance and historical tales. Obviously it's not a perfect depiction of Mary, Queen of Scotts, but I still learned quite a it about her life. 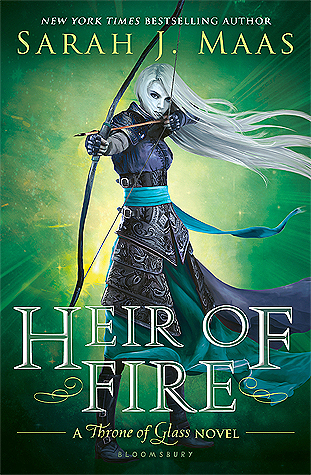 If you're a fan of the Throne of Glass series or others like it, then you MUST give this show a chance. Get through the first few episodes and see if you aren't addicted (because you probably will be). Usually I'm not a huge fan of science fiction, but Westworld takes science fiction and turns it on its head. Robots, cowboys, scientists, damsels in distress? You name it, this show has it. The cliffhangers and plot twists are insanely intricate, and you'll never really know what's going on. My boyfriend and I watched the entire series in a matter of days. Gah, this show was just so great. Yeah, it was popular at the beginning of fall last year, but if you've missed it, you need to check it out now. It's such a fantastic mystery, and it'll keep you guessing the entire time. The supernatural and the '80s come together to create an otherworldly experience, which you can watch this very moment on Netflix. Plus, Eleven is like one of the most badass children to ever grace the screen of television. So, what are you waiting for?? Yeah, we got a movie based on the famous series by Lemony Snicket years ago, but the movie really didn't do the series justice. After all, it crammed the first three books into two hours, which really just isn't fair. I've yet to finish this series since it only aired about a week ago, but I have really high hopes for it based off the few episodes that I've seen. I know what you're thinking: what kind of suggestion is this? Either you've already seen Game of Thrones or you have no interest in watching it. However, I just love this show so much that I have to put it on this list. Plus, it's based on a book series, so it's perfect for book lovers. It's intricate, well-developed, and absolutely stunning to watch. If you haven't given it a chance after all of these years... well you should.